plant a tree, start using cloth bags for groceries (maybe work to outlaw the plastic ones), and use a refillable water bottle. I also use the sun to dry my clothes, and grow plants that are butterfly and bee supportive. What ways are YOU improving the environment? I'm doing all my correspondence online. 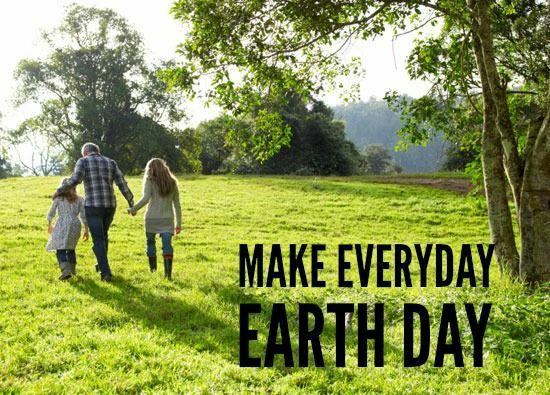 Happy Earth Day everyone...it is a lovely day to celebrate the Earth. I use cloth bags, a reusable water bottle, I would LOVE to have a clothesline again...I think I miss that as much as anything from the old house. I do not pollute the air or the earth with cigarettes. Love to all...especially the Earth! Today I toast my mother for she was born this day. She loved the earth and all it's creatures. She was delighted when they named today Earth Day. She was a part of it's beauty and grace. I don't understand people who litter. Somebody who travels down our country road throws out their entire McDonalds paper bag with all it's garbage (plastic cup & straw, hamburger paper, french fry container, etc.). And they do so on a regular basis. And then there are the beer cans. Periodically I go out and pick up all the trash, hopefully before the road mowing guy chops them all to pieces. 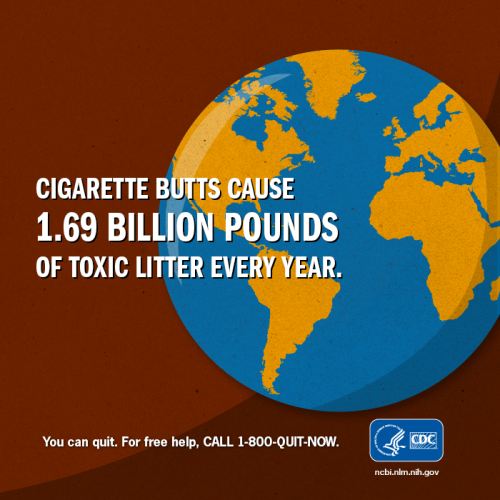 When I did smoke, I always picked up my butts outside. Happily I don't do that any more! We too use a laundry line, recycle as much as we can, have a compost heap. And I plant flowers wherever I go. Just gave a bunch of divisions away to the wife of a man fixing our house. I've also put ads up on craigslist and golsn for free plant divisions. And I try to plant 50-100 Daffies every fall. And we've planted two trees here thus far. The earth is a beautiful home. When I finally got my girls raised on my own, I had time to attend to my 3/4 acre yard. On the margins where the mowers didn't, I found 4-10" trees growing, planted by the wind and the squirrels, I guess. I could not BEAR to kill them......so I got a nursery to give me free pots they had used for plants for gardening jobs, and used peat moss as a cheap planting medium. I live on a well traveled street, and would dig up about 20-30 every weekend in the spring, label them, and put them out "free to good home." I probably gave away 150 trees.... I guess they called me Nancy Apple Seed. My biggest accomplishment was taking seedlings from this very, very old Pin Oak that was looking poorly to keep its lineage going (then had it deep root fertilized and started to put in tree spikes every fall and it's doing splendidly!!!) Planted them in a raised bed, and when I had to take down very old, falling down maple trees in the front of my yard, I dug them out of the bed (they were about 3' tall and had taproots about 10 ft. long - dug and dug and finally had to lop them off!). Planted them in place of the maples and they flourished and are now about 40' tall. Amazing!!! Happy Earth Day to you Nancy ! Eleven years ago on Earth Day our grocery store had a tiny spruce tree sale and when I say tiny I truly mean it .The trees were only about a foot long and were $1.00 each J bought three and planted them in my yard two of them never made it through there first winter the other is now over 10 feet tall ......taller then the roof of my house ! I also cannot stand the way people litter it is disgusting and I will never understand why they do it !